Call 0800 112 3770 if you’re looking for executive coach hire, perfect for when you’re looking for a little extra class. 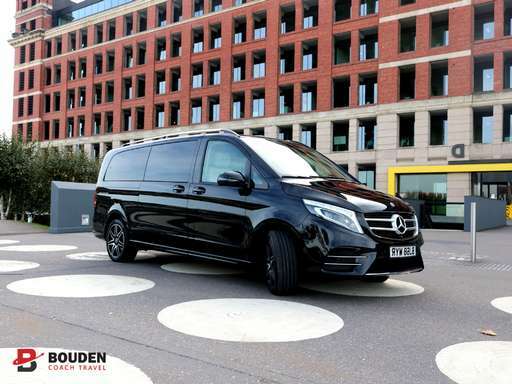 Bouden Coach Travel specialize in coach hire in the UK, wherever you may be we can pick you up in one of our executive coaches with a driver. Our executive coach hire service is perfect for a wide range of purposes including but not limited to; school trips, disaster recovery, rail replacement, personnel transport, airport transfers, sporting team fixtures and airline crew movement. We also offer coach hire for more luxury packages such as for events such as race days, sporting events, weddings, corporate travel and hospitality. We are proud to say that we specialise in all of these areas and have vehicles to cater for all. If you need safe, fast and efficient ground transport Bouden Coach Travel should be your first port of call. It would be our pleasure to assist you. Bouden Coach Travel takes great pride in it’s fleet and have invested heavily in modifications and upgrades to their already great quality executive coaches. What really sets Bouden Coach Travel apart from other service providers is the flexibility, reliability and value for money. Perfect for weddings, hen/stag do’s or a special night out on the town, corporate events, business meetings and airport transfers. Bouden Coach Travel has had some of it’s executive coaches upgraded to include tables, drinks facilities as well as seating upgrades and other bodywork modifications so you can be sure you get to your destination on time and in style. Call a member of the team today to discuss the availability of our minibus and coaches today on 0800 112 3770 or click here to get a quick online quote.